Alarmed that crime occurs at an alarming rate near our neighborhoods, we developed an app to conveniently display the frequency and location of crime. In doing so, we hoped to increase public safety so that people would avoid buying homes in crime-infested areas and would avoid visiting those places. Our app Danger Tracker identifies criminal activities within a user-specified radius. We developed our app using XML for the user interface and Java for the control flow in Android Studio. We also added the Google Maps API. Toward the beginning, we struggled with the user interface. Half of our team had no prior experience with Android Studio, and the other half only faintly remembered it, resulting in our inability to implement with a drop down menu we planned to integrate. We resolved our lack of knowledge through sheer perseverance, choosing to not give up on this feature that greatly increases the app's convenience even after two hours. Another major obstacle we encountered was learning how to incorporate databases into our code, as we needed to read through an CSV file for necessary data. Being able to read a CSV file and transfer the data over to our app with the assistance of a tutor here was an extremely satisfying experience. After struggling for a long time, we overcame the barrier and successfully read the data into the app. 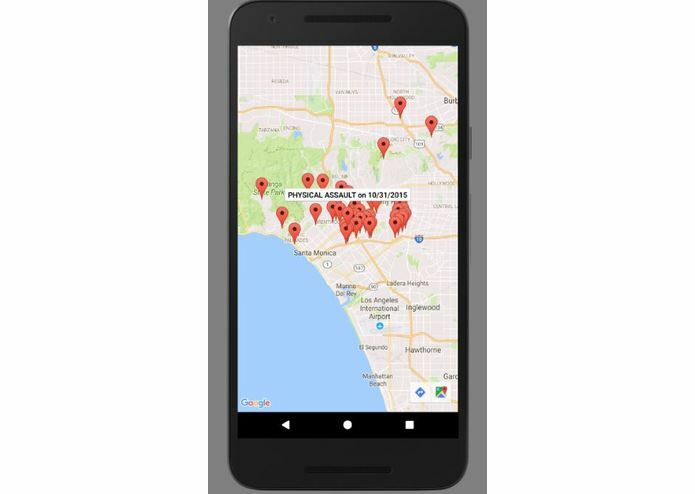 Another accomplishment we are proud of was being able to implement the Google Maps API into our app. Learning how to include Google Maps into our app was not easy, but seeing it work in our app felt rewarding. We all learned the functionality of Android Studio, and the various features it could have. With the assistance of a tutor, we also learned how to read CSV files into the studio in case we need a database. We also learned how to implement various API’s into our program to function. We will include a great variety of crimes that the user can choose to specify the danger. Danger Tracker will also be used to change the location, instead of it being at Los Angeles.